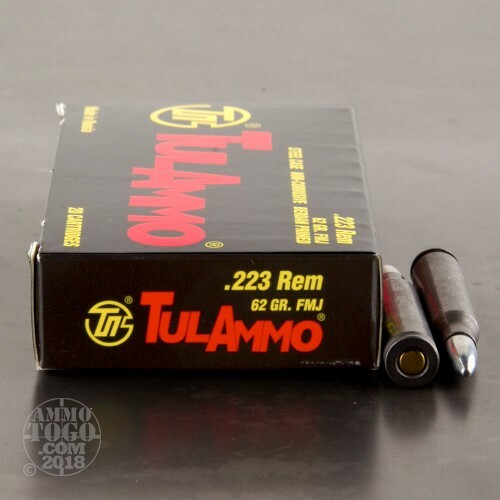 If you're looking to cut down on your shooting costs, pick up a few of these 20-round boxes of .223 Remington ammo for your next range trip. 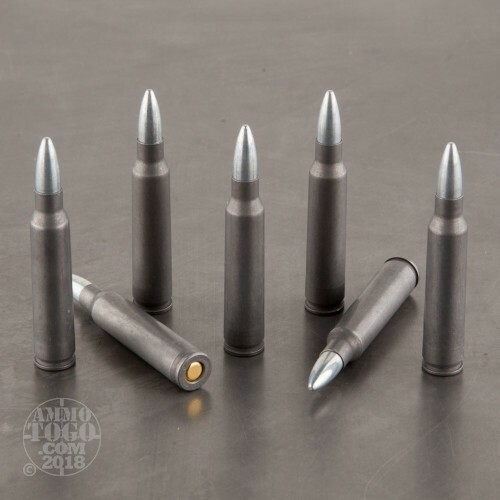 These cartridges produce ballistics similar to M855 mil-spec ball ammo and fire a 62-grain full metal jacket bullet. 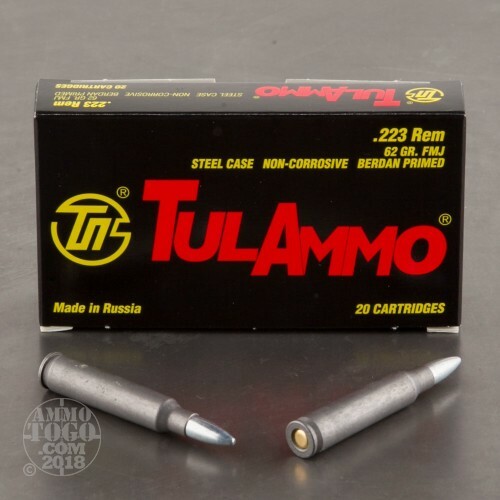 Tula ammo is made in Russia using non-reloadable steel cases and non-corrosive Berdan primers. 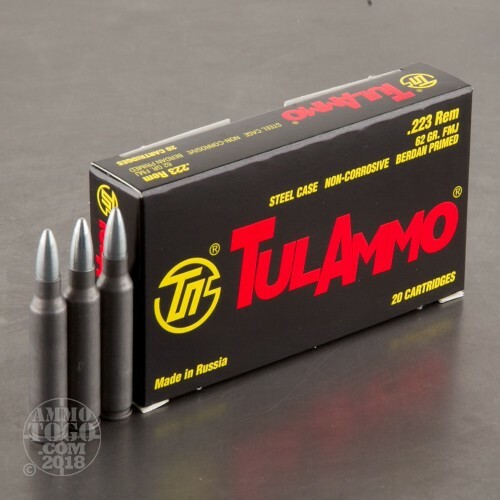 Note that due to their magnetic properties, these rounds may not be suitable for all indoor ranges.